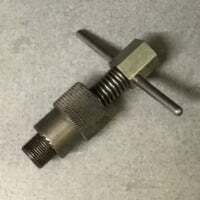 Does anyone know what the electrical interconnector shown in the attached image is called and where I can buy one? Thank you! I would call it a Molex plug. Does it look like it came with the burner? Becket would be a good place to start. "If you can't explain it simply, you don't understand it well enough"
You can replace it with three wire nuts or crimp terminals. Yes it's a molex plug. Is there a problem with it? They usually dont go bad. Those are usually found on boilers with swing-out doors. They're actually safety devices, since you have to disconnect the plug before you can open the door. The plugs don't come separately, you have to buy the whole wiring harness. 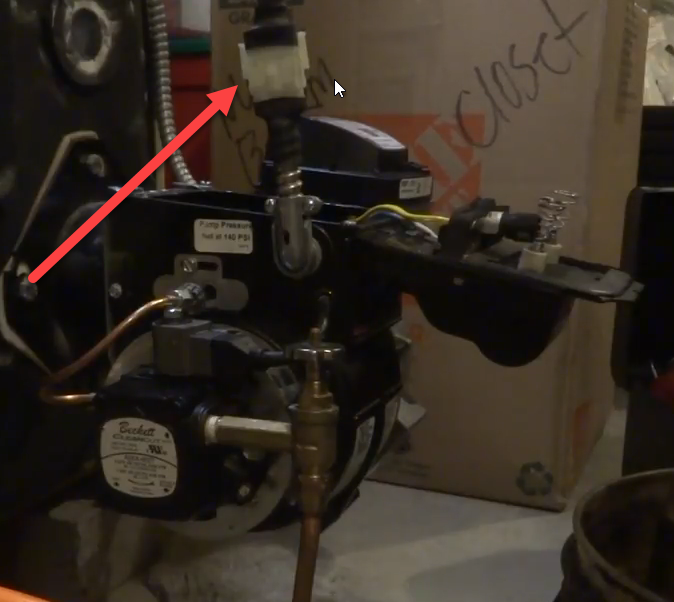 What make and model is the boiler? You'll probably find the part number in the manual. "Reducing our country's energy consumption, one system at a time"
Baltimore, MD (USA) and consulting anywhere. That looks like a Weil McLain GO. That one may not have enough prongs to work. Does your current wiring setup have two hot wires, a neutral and a ground? What primary control is on your burner? Even if you have a 3 wire primary control, you'll eventually want to (need to, should) move up to a more advanced control that will require an extra wire. I'd get the part @HVACNUT mentioned. You can find it online or at Sid Harvey's. On a side note you shouldn't have to bring the burner to a bench to work on it. You could just use a longer piece of MC to remove the burner attached to the front plate to get it out of the way of to properly clean the chamber. They also make a molex connector in a box that are on Peerless (I think) boilers. And move that flammable Home Depot box further away!! !